Spanning influences such as dark wave, dream pop, electronic music, baroque pop, trip hop and more, Indigo & the Sirens is the project of italian singer-songwriter Mario Ferrara. The Southern Italy native took his moniker from pseudoscientific new age concepts and greek mythology, a mix that depicts perfectly the sound of this genuine homemade alternative sensation. Born Mario Ferrara on May 9, 1996 in Nocera Inferiore, Campania, Indigo & the Sirens delved into songwriting at an early age and rapidly found the perfect formula to bring his unusual stories and characters to life. 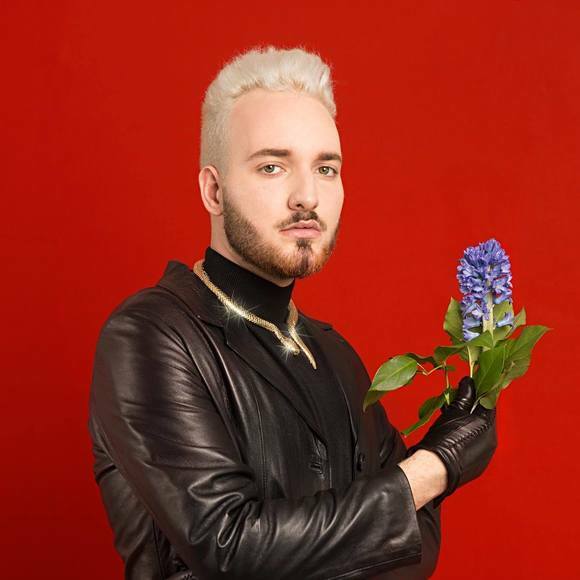 His ambitious independent project started with The Cult of Youth, a dark, experimental baroque electronic piece where vulnerable androgynous vocals meet the depths of his darker guttural range. If Lana De Rey and Dave Gahan had a child it would probably be Indigo & the Sirens. His 2017 debut EP accumulated hundreads of thousands of streams and views across the internet without the help of major playlists or labels, its lo-fi success led him to start his own company Black Trident Records. Indigo & the Sirens’s sophomore EP Gardens was released through the label. His vibe and his early trippy animated visuals have been often associated with names such as Lil Peep, The Neighbourhood, Ghostemane, XXXTENTACION, Billie Eilish and more even though his distinctive style puts the artist in a different self-made niche that doesn’t need a label.